Perry Oosting is Dutch, lives in Amsterdam, and commutes to Hasselblad's headquarters in Sweden. 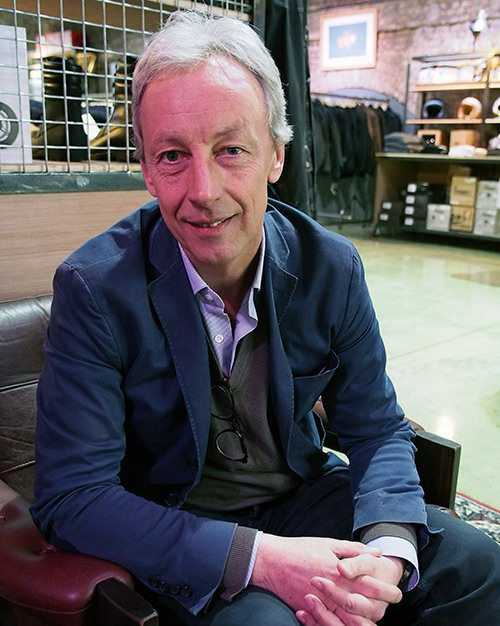 Before joining the Hasselblad board and then becoming CEO of Hasselblad, he was CEO at Vertu, a luxury mobile phone brand, working in London for 5 years and before that, he spent over 10 years with Bulgari, Gucci and Prada. By profession, Perry is actually a Gold and Silver Smith but as Hasselblad is such an iconic brand, he grabbed the opportunity to be CEO with both hands. Perry is enjoying the role, although 2015 was a difficult year for Hasselblad with the company changing direction and spending a lot of time rebuilding the brand back in Sweden based on the historical foundations of Hasselblad and what Hasselblad stands for: 'optical quality, Swedish craftsmanship, living history and iconic design'. Hasselblad's 'living history' includes the moon landing ( a Hasselblad was actually the first camera on the moon) as well as many other iconic stories. The cover of the Beatles Abbey Road album was shot with Hasselblad and so was Steve Jobs' portrait. 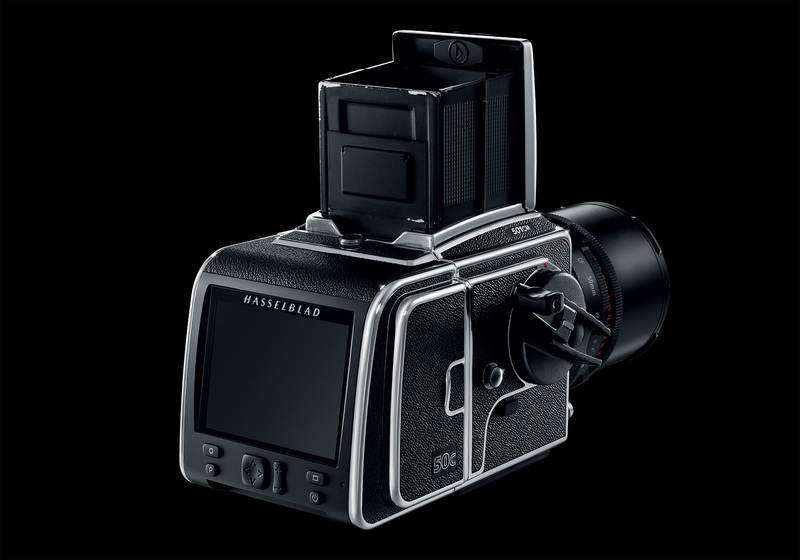 The Hasselblad Masters Competition is also part of the story of Hasselblad as well. When we met up with Perry in London, we spoke to him about Hasselblad's story as well as the new H6D, what it's like to work for such an iconic brand and why their partnership with Sony ended. Thank you for taking the time to talk to us Perry. Let's begin by going back to Hasselblad's core values. 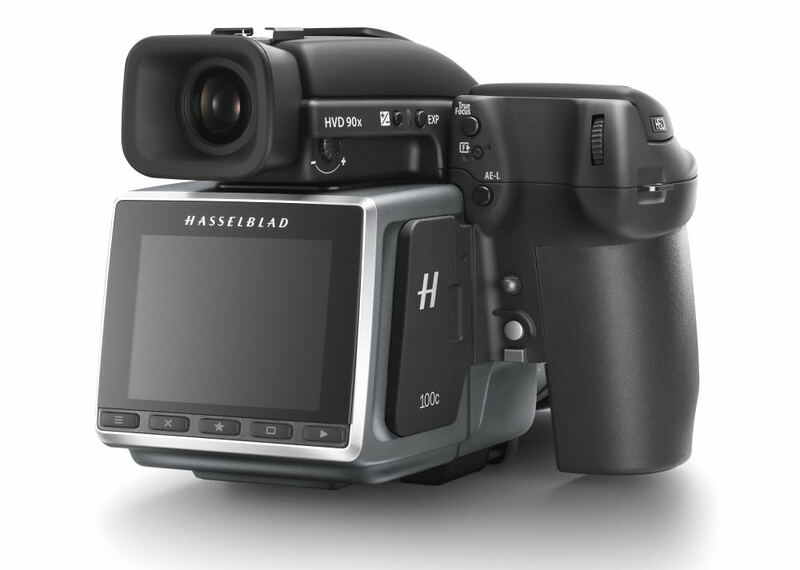 Has Hasselblad invested heavily in Research and Development? Yes, compared to when I joined, we now have 6 times more people working in R&D. We spent a year (2015) in preparation and it's in R&D that the development of future products is going to secure your future. If you look at Goteborg, Sweden, there is a great resource of talent to pull from with Volvo, Ericsson and other consultant companies available to help develop great things. Has Hasselblad changed direction then? For example, stopping making Sony products? We stopped Sony development last year and we have a strategic goal to widen the audience but we would rather do this using our own products, rather than Sony (branded) products. This doesn't mean we are entirely against partnerships, just that we need to find and work with the right partners. Has the DJI investment changed Hasselblad’s direction? No. They have a minority investment and they have invested due to their belief in our business strategy. We have not changed strategy due to the investment. We would love to do more on the product side with DJI but both companies are very busy. There is a huge pool of talent there and we would love to work with them more. We have done two joint events with them but beyond that, there's no product, yet, on the market. Strategic direction will remain the same. You spoke about broadening the appeal of Hasselblad and as the new H6D product sits at the top of the market, what will you do to broaden the appeal and do you plan to release something lower down in the market? What would fit is something aimed at the prosumer - which we see as the dedicated amateur, passionate enthusiast, semi-professional etc. - already shooting with a DSLR. Part of this audience already buys into Leica and our first step would be to look at this area, prices and portability. The new H6Ds we are launching has the best in class ergonomics in terms of handling but they aren't the most portable. You have other companies such as Pentax in the medium format market, with the 645Z, that are quite competitively priced and quite portable for a medium format camera. Is this area something that Hasselblad will be looking at? Portability will be key but how and which way it will be portable is yet to be announced. It's better to scream about something when you have something to say and our ambition towards that direction is there. The good thing is that more people will come to medium format and people are much more interested in quality. People are interested in upgrading to medium format because they want to take their photography to the next level. If we can widen the usage, it will be a more interesting space. The introduction of higher resolution cameras, such as the 36mp Nikon D800, and 50mp Canon 5DS, has challenged photographers to take more time to get the best quality pictures. Do you think that people are going to need to work hard to get the most out of the new 100mp camera? It's not necessarily the megapixel count, it's more how you use the equipment. Plus, we started from scratch with the H6D, from ground zero, so that we could deliver what people were asking for. For example, USB3 instead of firewire, a new screen with higher resolution, much better live view, a completely new UI, increased shutter speed from 1/800 to 1/2000s, higher ISO, dual slot: SD / CFast and 4K video. By the way, it's not a video camera. Its primary purpose is stills, but it also does video. Is it an endless megapixel race? No. 100mp is great, but we already had the Hasselblad 200mp multi-shot solution. Hasselblad is back, on the pinnacle of what people expect, with a true professional camera. Is it an endless megapixel race? No. 100mp is great, but we already had the Hasselblad 200mp multi-shot solution, which started with the H4D-200ms, and then the H5D-200ms, so museums have the high-resolution solutions they need, so they are also going to be interested in seeing the 100mp solution as well. But it is up to the user to decide whether they need 100 or 50mp. We think, from a brand point of view, the 100mp camera needs to be part of our portfolio. We are not doing it from a marketing point of view. Product and food photographers might need that resolution, plus all the features that the H6D can provide. Do you think the introduction of a 50mp Canon DSLR has influenced the market? There is the trading up trend, yes, and there is a progression from a DSLR up to medium format, for improving quality. I think other companies, just as Pentax did, will join the market too, which means we will have to stay on top of our market and this starts with the introduction of the H6D. Will Hasselblad be releasing a roadmap? No, we think it's better to over deliver rather than over-promise and then under-deliver. We prefer to surprise the market with new products. What do you think of the market overall? For example, with the expansion of the full-frame mirrorless camera market from Sony? It's good. It confirms that there is more interest in photography and that younger generations are now getting into photography. Yes, they all use their mobile but they're looking at composition, how to express their creativity and they need other tools than just the mobile phone. If you look at our Instagram account, there is increased popularity and in the use of the V camera and the CFV digital back. The new H6D features Wi-Fi so does this work with tablets etc.? This works with tablets, both iOS and Android, giving you full control over the camera with live view. Will the Hasselblad lenses cope with the 100mp sensor? The Hasselblad lenses are all compatible and if you get a new lens, then it supports the higher combined shutter speeds. If you have the older lenses, then you'll get a boost in shutter speed from 1/800 to 1/1000s. They are all compatible with the 100mp sensor. When will the H6D cameras be available? The H6D-50c will be available in April and the H6D-100c has a June release date. We will be launching the H6D on the 75th anniversary of Hasselblad and as well as providing something amazing, we want to reward those who have invested in Hasselblad lenses so as a result, we will be offering excellent trade-in offers. For example, you can trade in the H5D-50 and get up to 11400 euros on the H6D-100c or 10,400 euros on the H6D-50c. We will also continue to sell the H5D-50c for 12500 euros. Compared to Phase One, we are at a very competitive price point. 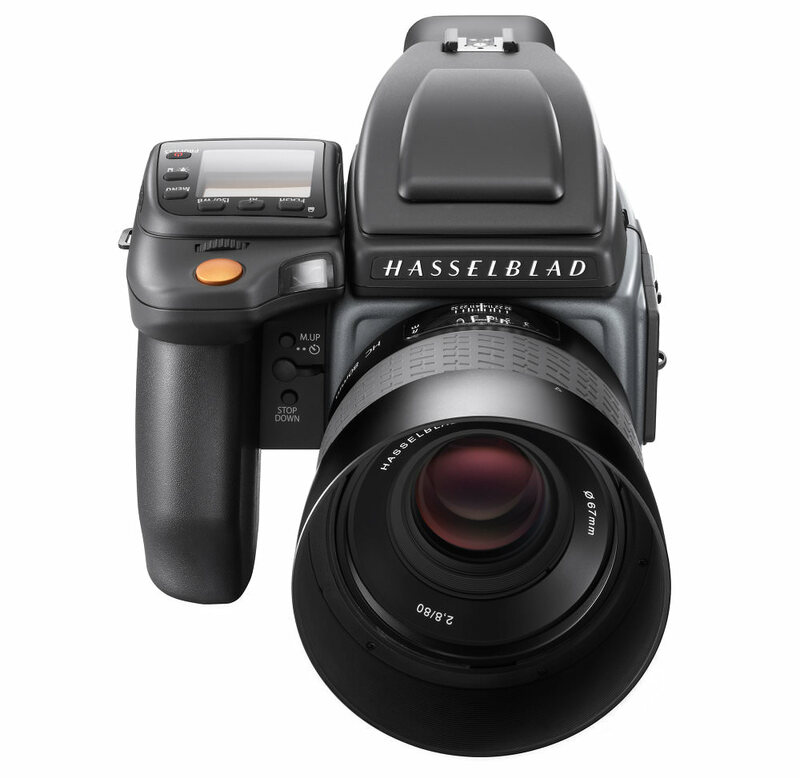 Where will Hasselblad be going in the future? 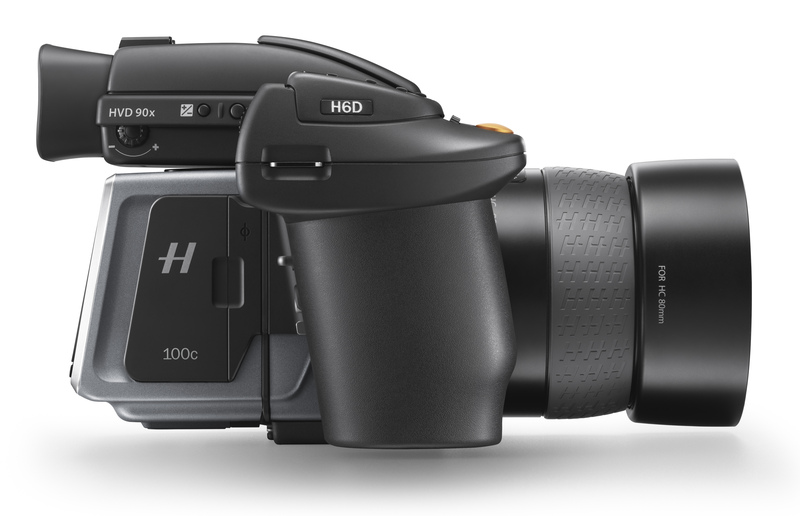 We plan on making Hasselblad much more accessible and that started with the H5D's special price. In December, we did 25% of our annual volume which was amazing! It shows price sensitivity is important. Also, lens sales increased by 3 times during this time. We also spoke to Ove Bengtson, Product Manager, about the new H6D. Ove joined Hasselblad and product developer in 1982 and has worked for Hasselblad for 34 years. Can you tell us more about the new H6D? We have completely redesigned the electronic hardware in the sensor unit of the camera because we have added USB 3, a full touch-screen, Wi-Fi on all models, support for the new 100mp sensor and video recording up to 4K. That puts some really tough requirements on the hardware, and firmware, which has been re-designed from the ground up to give customers a much more responsive camera. We have dual cards, SD card for compatibility, and CFast (not CF) because we need the speed and as a result, we can write up to 400mb/s required for 4K video. RAW files are 60 megabytes from the H6D-50c and around 120 megabytes from the H6D-100c. 4K video is recorded at UHD resolution at 25fps, but we are looking at increasing the number of frame rate options, for example, 24fps and 30fps for the US market. We are using a Sony sensor and we are able to get 15 stops of dynamic range from the sensor which is great for capturing highlight and shadow detail. We are also able to get over 560 shots from the H6D compared to 350 shots with the H5D, so we have increased the battery life mainly due to the new hardware. The touch interface on the H6D is very quick to use and you can change settings without having to go into the menus, using the control screen, which you can swipe down from the top in any mode. The touch-screen is designed to work in photo and playback modes, making it intuitive to use. We also have both the touch-screen and buttons to control the camera. Read more on the new Hasselblad H6D here. While I was looking for a digital camera few years ago, many people were mentioning about full frame (35mm) as if it was something 'perfect' but I was not that impressed because as a studio photographer's son (and a studio photographer's grandson :) ) I had already witnessed the film era medium format cameras. Although I use an mft camera I would prefer 35mm full frames if the prices were not that high. I chose a more affordable camera than a 35mm full frame because I would like to save some money while going digital so that I will be able to buy a digital medium format in the future (hopefully). I frequently visit medium format camera brand's websites, I sometimes check the prices. Of course, somebody who is good at photography can make very beautiful images with any camera but I think the medium format is the best choice for a professional photographer. When the price of the medium format cameras gets a little bit closer to the 35mm full frames' (hopefully not vice versa) then buying a medium format will make more sense for people like me (enthusiasts with a professional mind i.e. who seek the best quality and take their hobbies very seriously). While I was looking for a digital camera few years ago, many people were mentioning about full frame (35mm) as if it was something 'perfect' but I was not that impressed because as a studio photographer's son (and a studio photographer's grandson ) I had already witnessed the film era medium format cameras. Although I use an mft camera I would prefer 35mm full frames if the prices were not that high. I chose a more affordable camera than a 35mm full frame because I would like to save some money while going digital so that I will be able to buy a digital medium format in the future (hopefully). I frequently visit medium format camera brand's websites, I sometimes check the prices. Of course, somebody who is good at photography can make very beautiful images with any camera but I think the medium format is the best choice for a professional photographer. When the price of the medium format cameras gets a little bit closer to the 35mm full frames' (hopefully not vice versa) then buying a medium format will make more sense for people like me (enthusiasts with a professional mind i.e. who seek the best quality and take their hobbies very seriously).